Shibori is kinda like tie-dye, but all blue. Navy blue to exact. Shibori is a Japanese dying technique where the designs are made on the fabric with various folding patterns. Several of the patterns also use what is known as a resist. The resist can be clothespins, pieces of wood, twine or old school rubber bands. Shibori is just as addicting (and easy) as tie-dye. The fun is in the excitement of unwrapping sheets, baby onesies or tablecloths to see the finished dye pattern and how the look is different every time. 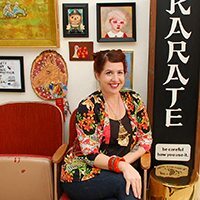 Did you happen to catch the episode of DIY This With Jennifer Perkins where I shared some shibori dying? I love this episode because several of the items I open and “reveal” in the segment. So everyone watching live saw them at the same time I did. 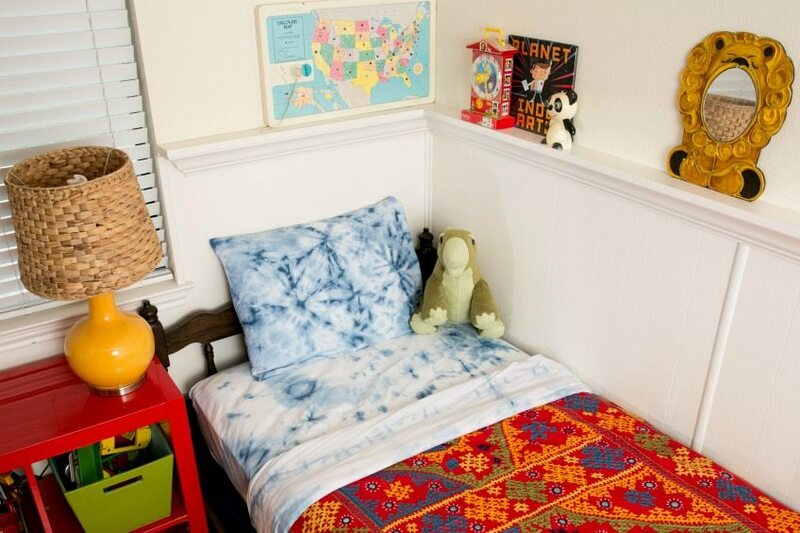 Over on the DIY Network I’m sharing 10 Creative Ideas for Shibori Dying. Traditional shibori dying is done with a vat of indigo dye. 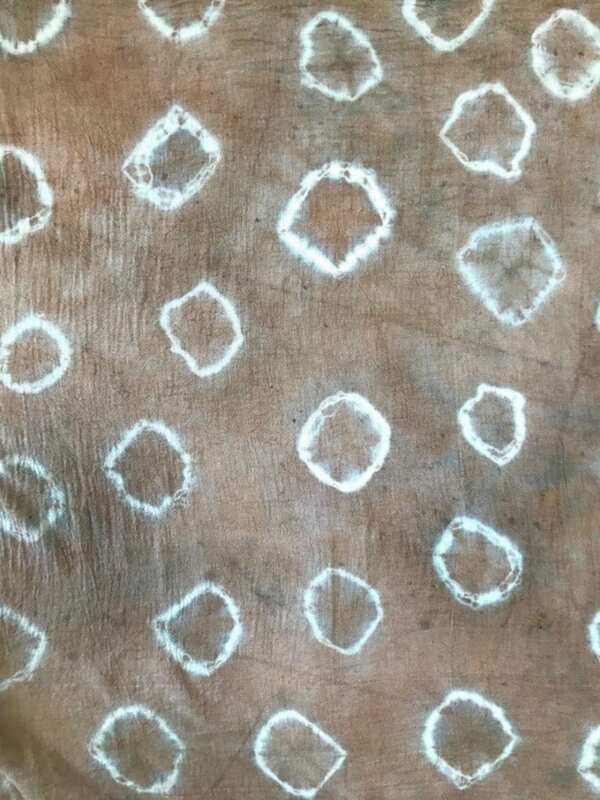 You can find shibori dying kits online easily. I went the easy route with Navy Rit Fabric Dye. Follow the instructions on the package for setting up your dye bath. Gather up your pre-washed natural fiber items and start thinking about patterns and designs. There are TONS to choose from and really no wrong or right method. It’s all about the fold and the resist. 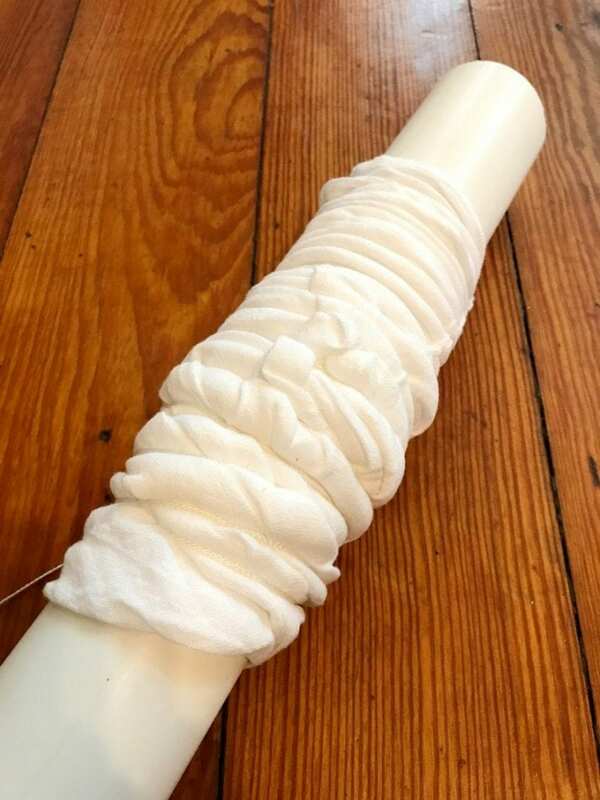 One of my favorite shibori methods is called Arashi which translates into ‘storm”. 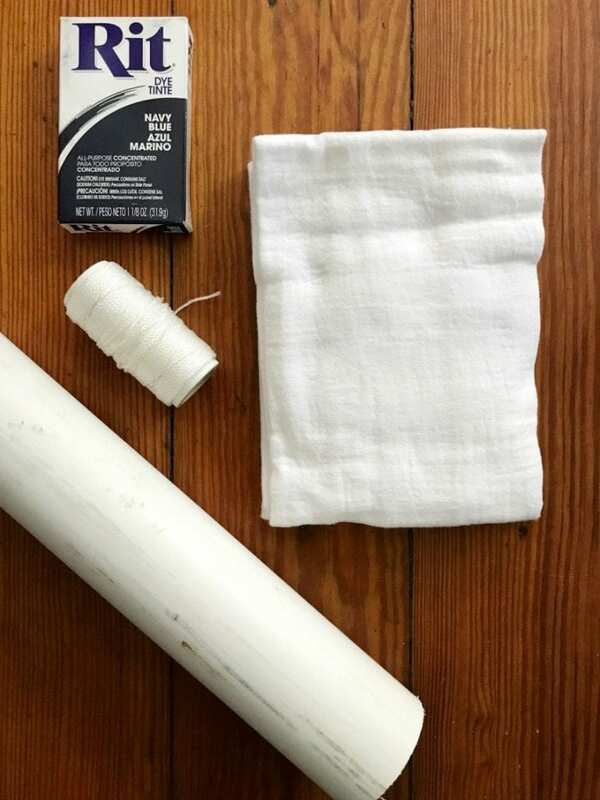 For this method you need twine, PVC pipe, dye and your garment. Wrap the fabric loosely around your pipe. Next, use the cording to wrap the fabric to the pole. Squish the fabric together as you wrap. Make sure to pull the twine tightly. Knot onto the pipe to hold everything together when you dye. Next dye that bad boy. 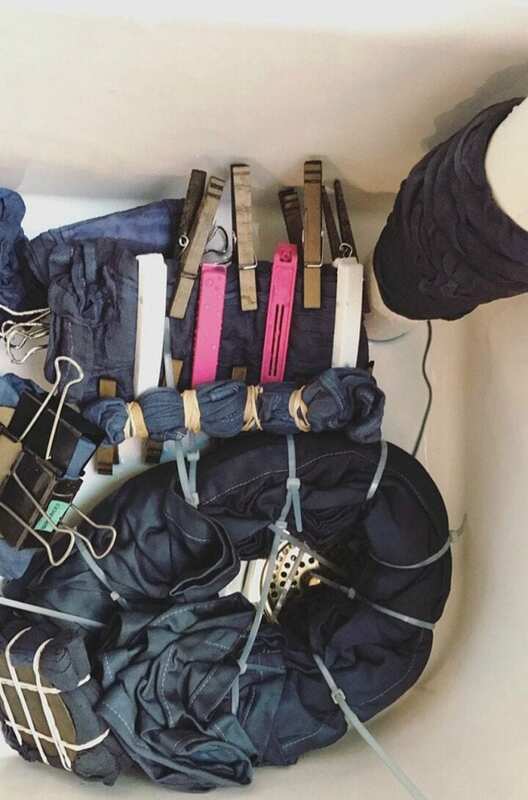 Depending on which type of dye you used it will determine how long to leave your item in the dye bath. I have used bottles of dye I applied to fabric AND made a vat of dye I submerged my things into. For the record in my shibori experience dipping into the vat works much better. This is the finished cloth after a dip in the shibori dye bath using the storm method. You can see the lines where the twine was. I adore the natural variations in the patterns. 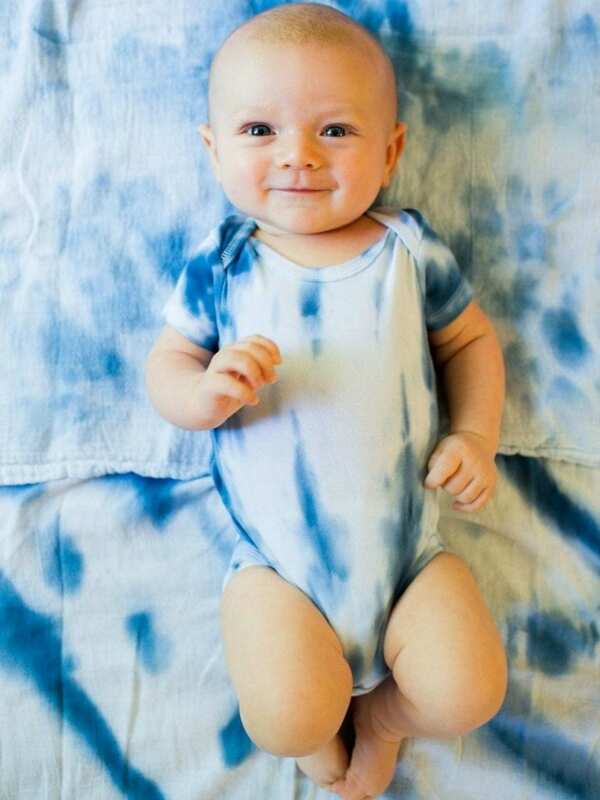 The possibilities of shibori when it comes to babies is kinda endless. 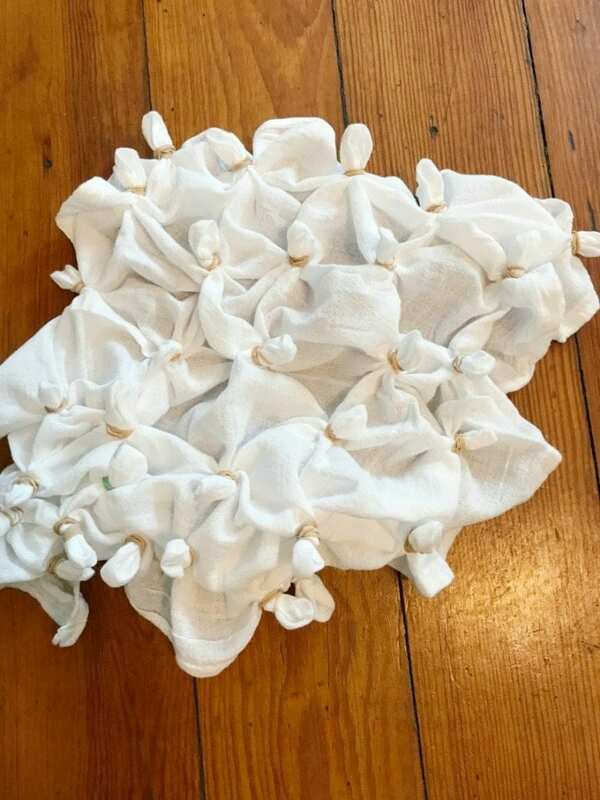 Onesies, wraps, burp cloths – even an entire shibori themed baby shower. I know I’ve thrown one and this adorable little dude was the recipient! If you thought you would never use up all those rubber bands you have left over from last year’s tie-dye party, you thought wrong. Grab those rubber bands and try the ring method. 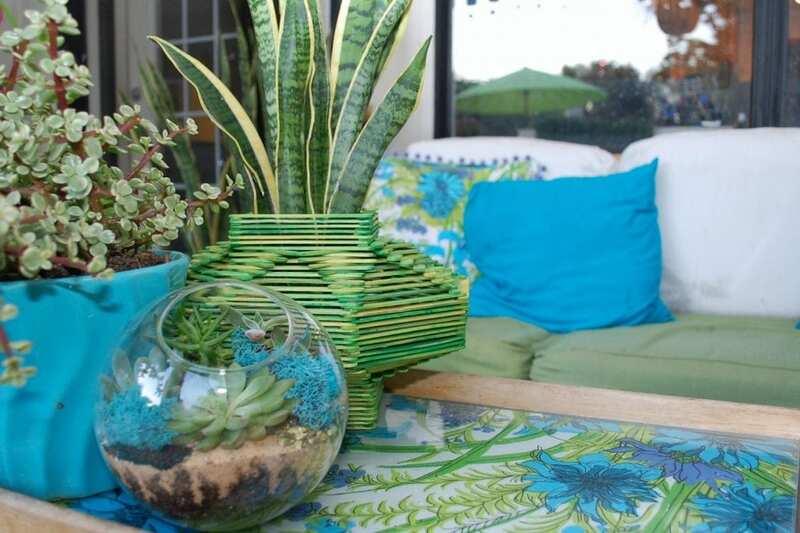 If you want to get really crazy you can also add rocks or marbles inside those bound sections for a different look. Polka dots have never looked better. Experiment with different sized rubber bands, double binding and varying sizes of your rings. 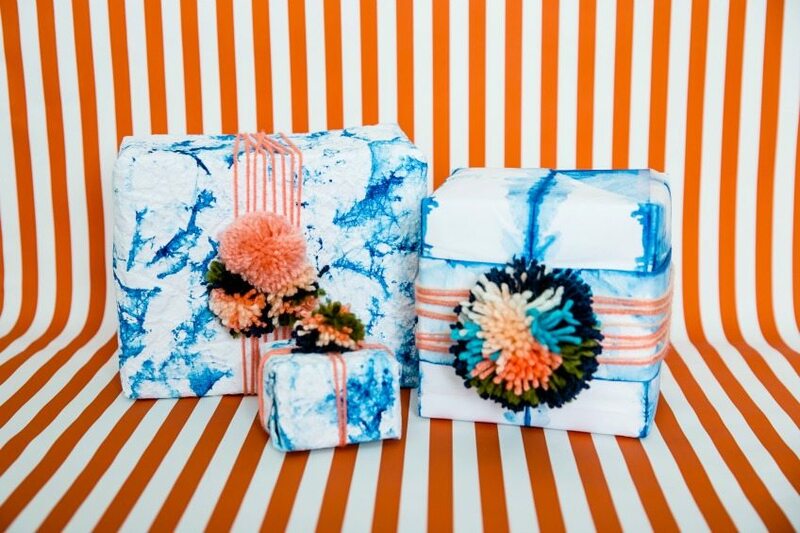 Try using shibori techniques on fun items like yarn, shower curtains or even watercolor paper to make unique wrapping paper. That’s right I folded and dipped these guys just like fabric. 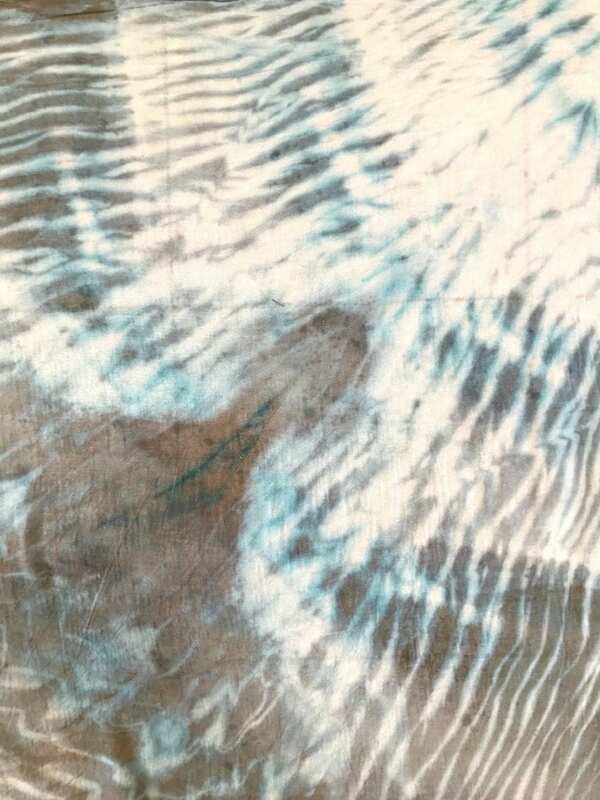 So think of shibori as tie-dyes sophisticated cousin. Something about the single color and geometric patterns give this dye job an upgrade. 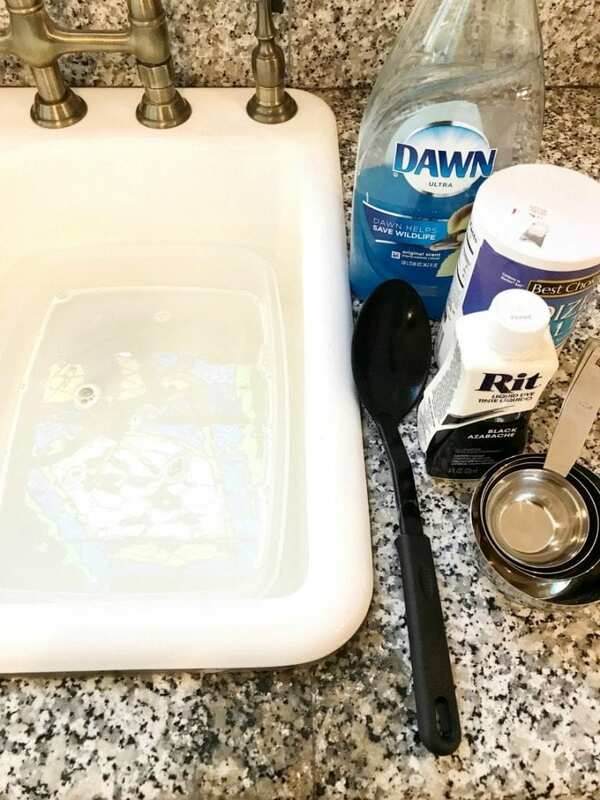 So much so that I’ve used these techniques on shower curtains, throw pillows, patio furniture, sheets and more in my own home. 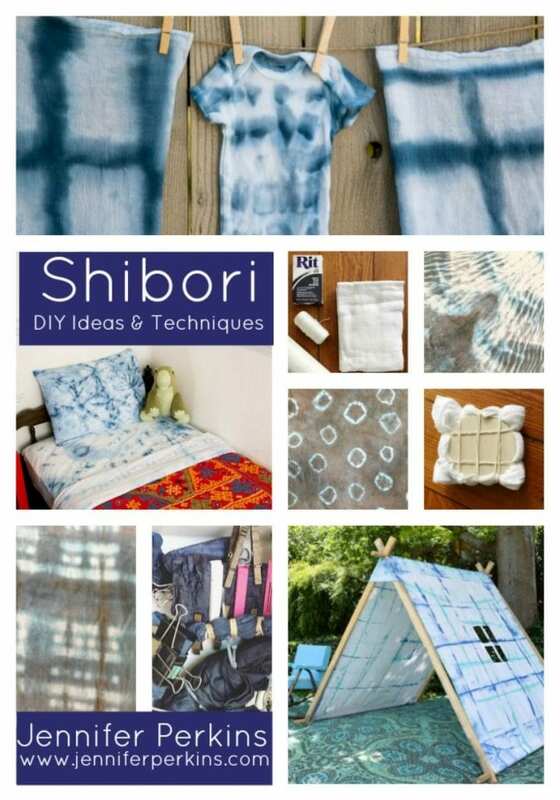 Have you tried shibori? 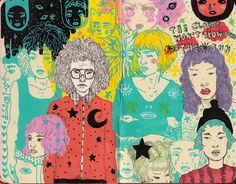 Love to hear what and how you dye. P.S. Nobody said you could not try these dying techniques with other colors besides navy! P.S.S. This post contains affiliate links. 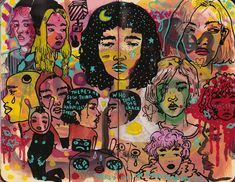 P.S.S.S. Baby picture by Cory Ryan. 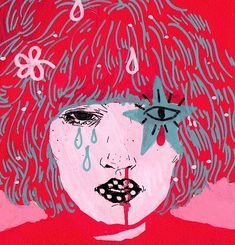 Want more DIY dying inspiration? Keep reading! Dyed Popsicle Stick Planters – Did you know you can dye wood? I know crazy right? Did you know dyed wood could make something as cute as this popsicle stick planter? Oh and check out this popsicle stick dish too! 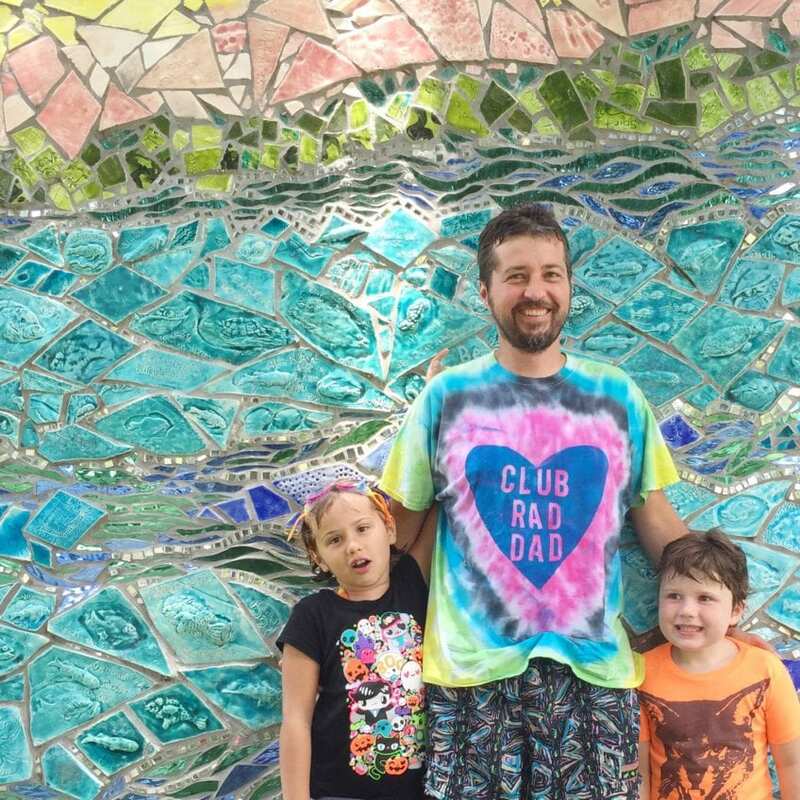 Club Rad Dad Tie-Dye T-shirt for Father’s Day – Combine tie-dye and fabric spray paint to get your message across colorful and clear. 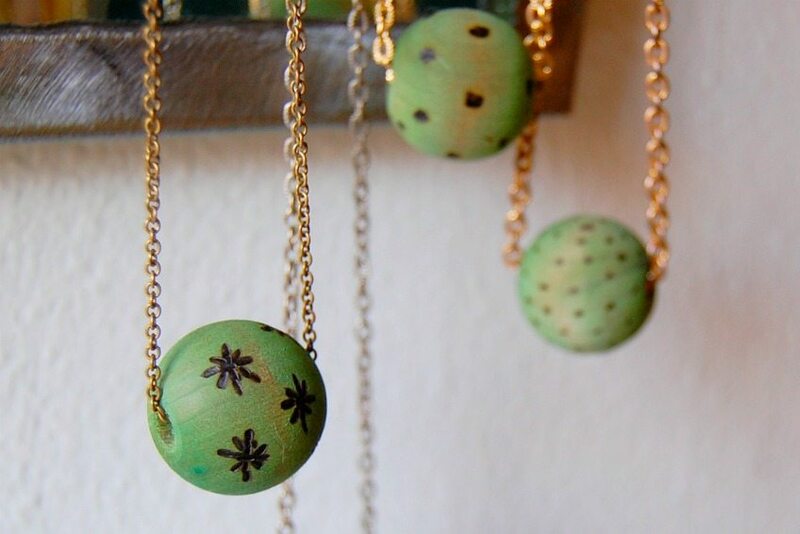 Dyed Wooden Beads – I love the different ways you can transform wooden craft store beads. You can burn them, wrap them in yarn or yup dye them! Be sure to check out this lemon-luscious bracelet on DIY Network too. 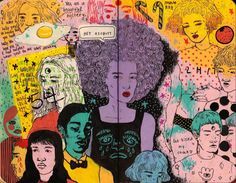 Posted September 4, 2017 & filed under Crafts, hgtv, Home Décor Crafts, Kids Crafts, Wearable Crafts.